The first step and one of the most overlooked one is to only build in the right weather conditions. Roofing job should not be attempted under 35 degrees Fahrenheit. This is mostly due to safety reasons. You always need a dry working area, otherwise it can get very slippery. Always look at the roof before going up. Roofing in NJ is especially limited by the weather where dominate low temperatures and rain. If it looks moist, stay away from it. If you find this to be harsh, try doing something else in the meantime, bring your roofing supplies closer, analyze what has been done so far, do some measurements, re-size the materials if needed. Only a part from a roof installation is actually done on the roof. Avoid walking on a fresh installed roof. This is critical when it comes to tile roofs or slate roofs. A professional roofer will avoid this at almost any cost, and will always have an escape route, which doesn’t affect the already installed portions of roof. This is a very good way to detect inexperienced roofers. Even with metallic sheet roofs, this should be avoided, because although they are very unlikely to break, they can bend and can remain that way. Use a professional roof consultant. The amount you will pay, will probably be one of the best investments you ever made in your home improvement history. There are many hidden dangers that can affect the quality of your new roof. Getting your facts and priorities has proven time and time again an invaluable factor. Making an informed choice and getting a glimpse in what your future roof should look like is sometimes the best choice available and can save you the cost of many mistakes. Get the flashing right. Flashing is an important part in regards to a roof’s durability. A poorly made job can screw up an entire roof. This is not the most difficult task at hand, but it is crucial to get it right. First make sure you get the right supplies as the flashing metal must come in an appropriate size. Typically there are two ways of acquiring flashing overlapping and soldering. Soldering is the most difficult one to properly get it installed correctly. It is usually used for chimneys and low slopes. Get those corners right and make sure that water can’t leak from the chimney. If by any chance a contractor puts a strong emphasis on the underlayment you should have all the alarm bells ringing. A good roof may actually require no underlayment at all. It is a sign that the builder is not very confident in its own work. So please make sure that the overlapping is positive and that soldering jobs are done with the thermal contraction and expansion in mind. This also means that you should always do your flashing consistently, meaning that you should use the same metal on all the roof. Get the right roofing materials meaning that all the materials you buy should have just about the same durability. If you are building a slate roof designed to last 200 years, it is not very wise to use plywood which will stay for 20 years. On the other hand, if your intention is to build a roof with small durability as a temporary solution, plywood will do just fine. Nails are also very important. They can be easily overlooked and are seen by the contractors as a mean to cut costs. The problem is that you will get what you pay for. Go the extra mile and buy some decent nails or at least make sure that the contractor does. 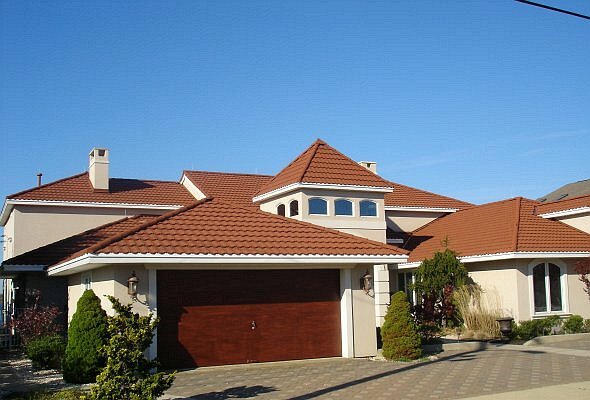 When dealing with New Jersey roofing contractors make sure that everything is specified in the contract. The type of material used down to every single detail, the time required and the payment options. Look carefully before you sign anything. This is extremely important as one you sign that contract you engage yourself in a very long and possible hard ride. Be careful and read everything. Stay away from inexperienced contractors. This is critical. Before you actually choose a contractor ask for a portfolio and some proof of their qualification, friends can be priceless as their advice based on experience can help you to quickly locate a good contractor. Total Roofing & Siding is an expert in New Jersey roofing & siding installation. Call our toll free number 1-888-ROOF-908 or fill out the form to get a free roofing or siding estimate or to discuss some roofing options. We install all types of roofing serving customers in New Jersey and Bucks County PA.